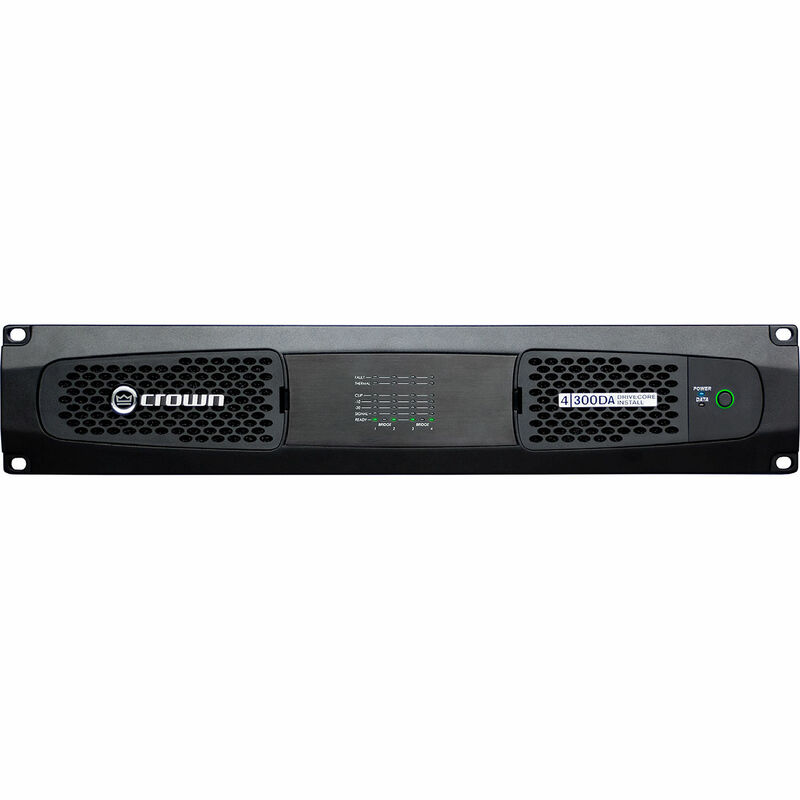 The Crown DCi 4/300DA DriveCore Install DA Series is a 4-channel power amplifier with Dante / AES67 networked audio and integrated DSP. The amplifier is capable of producing 300W of output per channel and works with 2-, 4-, 8-, and 16-Ohm speakers or with 70/100Vrms systems. Channels can be bridged for powering higher power applications such as a subwoofer. The amp's advanced capabilities and support for Dante Domain Manager makes it well suited for installations that are standardized on Dante for networked audio transport. The Dante / AES67 ports provide primary and secondary connections for redundancy and will accept 48 and 96 kHz digital audio. Analog audio can be sent via Dante / AES67 pre/post processing (at 48 kHz). Network configuration, monitoring, and control are provided with HiQnet protocols over standard TCP/IP network connections. The HiQnet Audio Architect software allows for remote configuration, monitoring, and control of all aspects of the DCi-DA Series amplifiers. Additionally, a programmable General Purpose Input/Output (GPIO) port can be configured to control volume, recall presets, report errors to a third-party control system, and more. The integrated DSP provides a comprehensive set of tools and features including LevelMAX limiting for inputs and outputs with thermal limiting, input compression, input & output delay (up to 2 seconds), input & output EQ, crossover settings, and a signal generator. 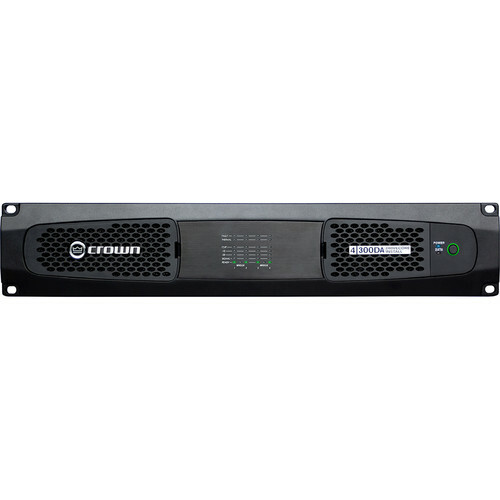 The Crown DCi 4/300DA DriveCore Install DA Series 4-Channel Amplifier ships with four input connectors and a power cord.